Endometriosis changes the lives of many, and in multiple ways. Infertility, pain, fatigue, depression, and a multitude of other miserable symptoms encompass the disease of endometriosis. I have dealt with this disease for years, and along the way, been diagnosed with Irritable Bowel Syndrome, anxiety, depression, ruptured cysts, etc.…. as well as been called crazy, lazy, and a hypochondriac. Endometriosis is diagnosed during a laparoscopic surgery, and in my case, during my hysterectomy. Before that, I had 2 colonoscopies, one upper endoscopy and my gallbladder removed and hadn’t even considered endometriosis as an issue. Little did I know, at that point, the symptoms I deal with are consistent with both GI issues and GYN issues. Since the hysterectomy in 2014, which removed all but one ovary and one fallopian tube I have had three endometriosis surgeries and in February 2018, removal of my remaining ovary and tube. I am 39 years old and surgically menopausal. I tried every birth control pill, hormone, pain medication, and home remedy possible. Through all this, I also consider myself extremely lucky because I have two beautiful and amazing daughters, and so many other endo sufferers are unable to have children. I know I am blessed beyond measure that my hysterectomy resulted in horrible reaction to a stitch and I ended up finding the surgeon who saved my life from misery. As strange as it sounds, I am grateful for the complication. While I wait to get my hormones under control, I pray that I don’t have to undergo another surgery for the pain. Although I no longer have ovaries, I am receiving estrogen replacement, and unfortunately, endometriosis is hormone dependent. 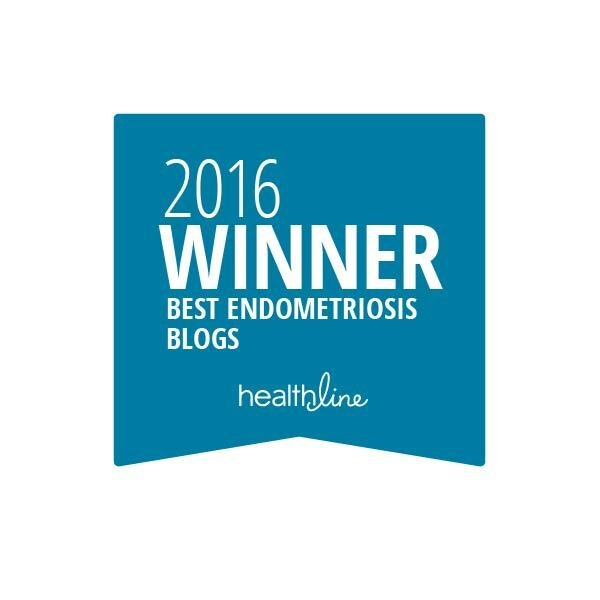 Dealing with endometriosis is different for everyone and is difficult to describe. Endometriosis is not cured by hysterectomy; there is no cure. There is the ability to remove, or excise, the lesions, but there is no guarantee that it won’t come back, appear in a different place, or grow from microscopic lesions that were not completely removed. The amount of endometriosis does not determine the level of pain one experiences either. I have been blessed beyond measure to have a husband who has listened to me whine and cry, supported me through each surgery, and gives me hope, makes me laugh and loves me when I need it most. Pain, adhesions, scarring, bloating, fatigue, and mood swings have put my life on hold some days, but more often than not; I have done my best to ignore the pain, to keep the miserable feelings to myself, and pretend that I am fine. But, I am not fine. I am angry. I am bitter. I am resentful. I am jealous. And I am tired. Tired of living like this, making excuses and tired of being robbed of a normal lifestyle. I have spent too many hours clutching my heating pad, praying that the sensation of my organs being scraped out will disappear. I am tired of pretending. I am so tired of this that I am going to do something about it. I am a nurse and I will do everything in my power to spread awareness of this disease. At this point in my life, my efforts revolve around being a wife and mother, FNP school, and attempting to find the right dose of hormones that will get me through this chapter in my life. It is difficult to wrap my head around the options, the side effects, and the effect hormones have on my future. Too many women suffer, are ignored, and stuck dealing with a lifestyle they do not choose. It is much more than the side effects of pain and bleeding mentioned in a TV ad. It is a life-changer. 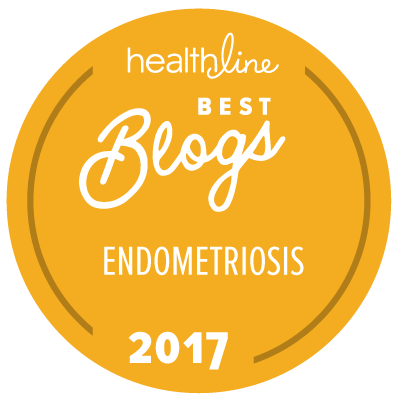 One in ten women experience endometriosis, yet it is greatly under-researched and under-diagnosed. It is my goal and hope to raise awareness and become a voice that so many are praying for. If you would like to reach out to Janis, you may email her. And she wants to remind us: Never, ever ignore your gut feeling that something is not right. You know your body best. Don’t let anyone make you feel bad about questioning your own health. Keep track of your symptoms, surgeries, successes and failures….be an active participant in your healthcare.